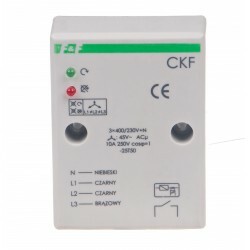 Order of phase and phase loss sensor. 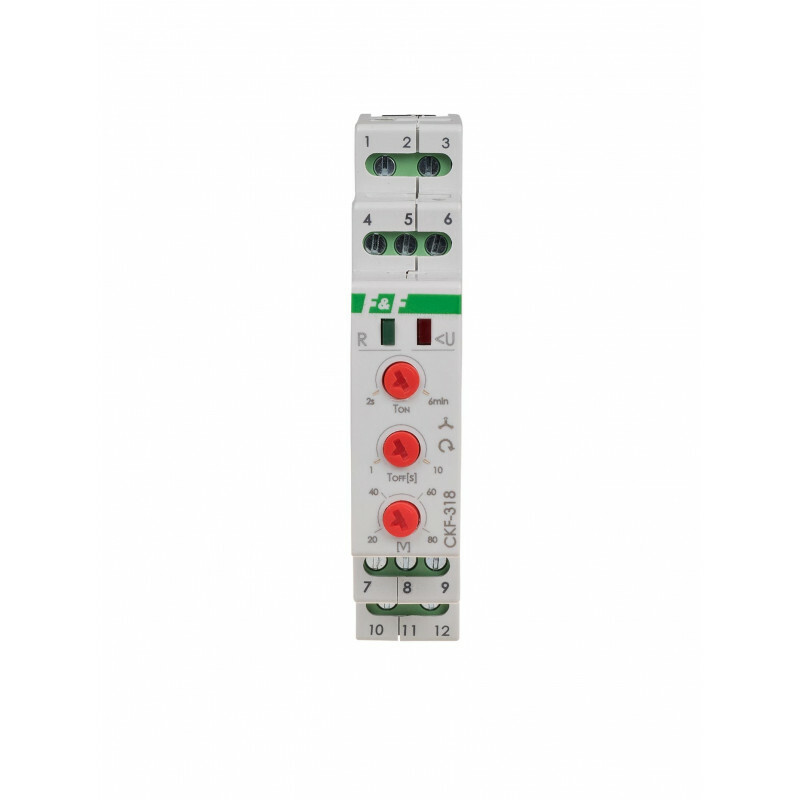 Without neutral wire. 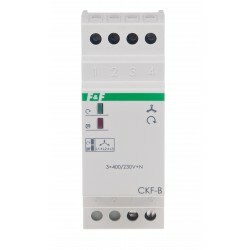 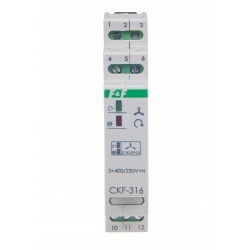 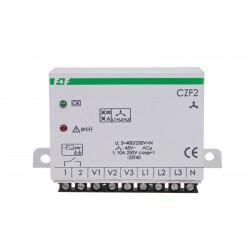 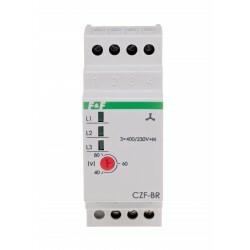 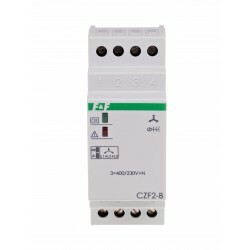 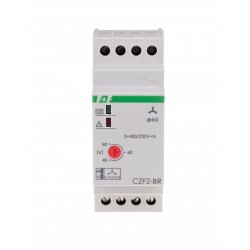 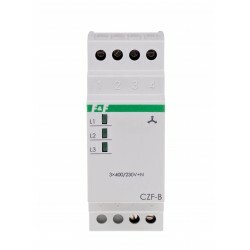 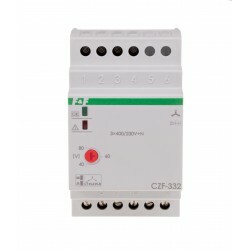 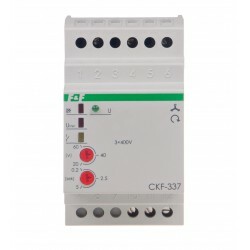 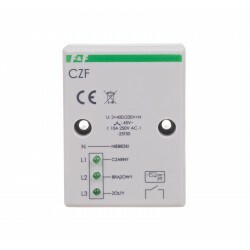 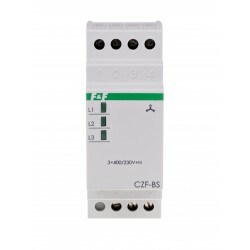 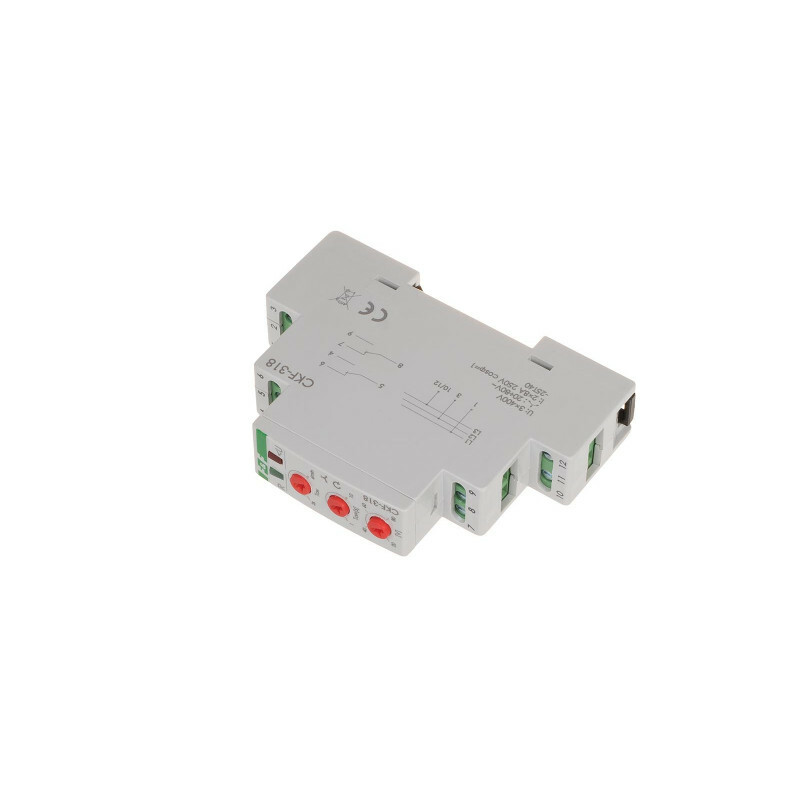 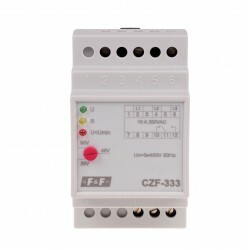 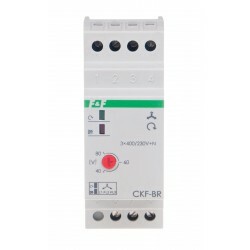 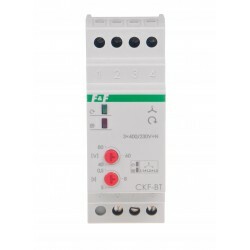 The CKF-318 order of phase and phase loss sensor is designed to protect electric motors powered from the three-phase network 3×400 V (without neutral wire). 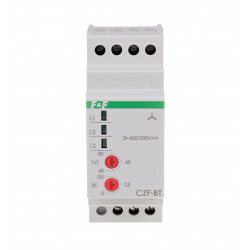 With the right voltage conditions the contacts of the sensor contacts are closed. 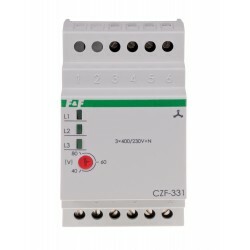 In the event of a voltage anomaly the sensor disconnects contacts with the appropriate time-delay. 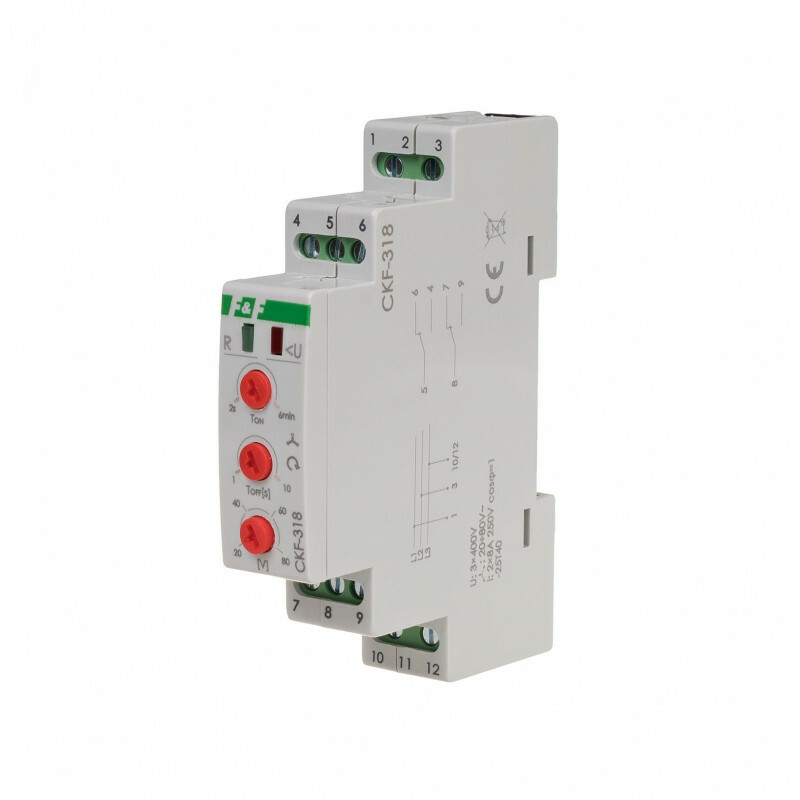 Return of the network parameters to standard conditions will reactivate the contacts with the preset delay.